The purpose of this documentation is to amplify the interplay of realities presented, met and subsequently addressed by the Upland Development Programme in its struggle to facilitate the embankment of its mission to the lives of upland folks in Southern Philippines. Some talk has been devoted to whether the Mumbai terror attacks and the $1bn accounting scandal t Satyam Computers in India will affects growth in BPOs in the country. I could only imagine now the companies that have exposure in those locations are now looking aggressively to mitigate their risks and therefore considering at countries like the Philippines. But much of the growth comes from the size of the market, not so much the market shares. We don't know if we'll benefit from that. Nobody wishes a terror attack anywhere and any negative report on the industry affects everyone because it's global industry. Another problem is Barack Obama, as a candidate, had pledged to create jobs that cannot be outsourced and tax policies to discourage American companies looking to bring jobs abroad. It's Obama's fiscal policy versus the whole outsourcing equation and I think the realities of the global economy will take over. 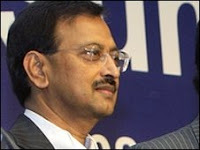 The Satyam scandal has shocked India. It has brought into question the levels of corporate governance in the country, and has cast an ugly shadow on the once shining image of Indian industry overseas. Satyam shares plummeted on the news by 75%, dragging down India's main stock market by 7%. This will put the spotlight on Indian companies, and overseas investors will be wary of putting their money here without taking a good, hard look at the company's books. Indian's main stock exchanges have announced they are removing Satyam Computers from their indices as of January 12 because of the stunning revelations. But caution alone may not be enough to convience international investors that Indians companies are serious about cleaning up their governance. Many of Satyam's customers were persuaded to get into business with the company because of Mr. Raju's suave, professional image. The Western educated MBA graduate was one of the poster boys of India's new economy. According to Mr. Raju's statement, about $1bn of the cash on the company's books was made up---and analyst say it was the manipulation of the cash flow which could have been one reason why the deceit was undetected. Many analysts also say that the chase for huge profits and the desire to keep up with the breakneck speed of India's $50bn outsourcing industry's growth rates that may have been behind Mr. Raju's motivation in fudging the accounts at his firm. But trying to get any answers from Mr. Raju since his confession letter is proving to be impossible---he has disappeared. Get 300 Entrecard Drops in 15 Minutes!! This is a Flickr badge showing items in a set called camiguin album. Make your own badge here. I am fluid and easy-going. The fact that two fish (as opposed to one) represents me speaks the duality of my nature. For this reason, I can be hard to pin down, prompting others to call me a chameleon. I am happy to be considered hazy, since there's a certain sense of safety in that self-proclaimed netherworld. That said, I won't stay away for long, since one of my primary goals is to help others. I am compassionate, charitable and quickly put the needs of others ahead of my own. I am caring and romantic and a creative mate.